KFC is ready to serve you with the Colonel’s Signature, Secret 11 Herbs and Spices at the Main Food Court Area. 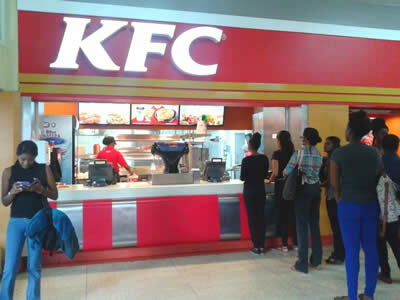 Under the franchise of Prestige Holdings Limited, KFC continues to dominate and be one of many choices of classic “fried chicken”. There daily deals, specials, combos can all be savored. 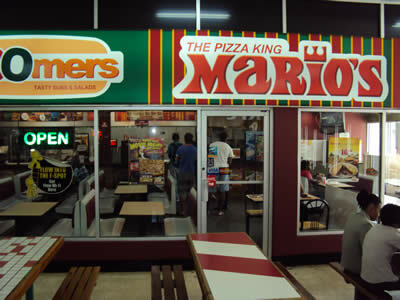 If you want, Trini style pizza with loads of toppings and local”fixins” like ketchup, mustard, mayonnaise or even garlic sauce visit Mario’s Pizzeria at The Main Food Court Area. They also offer artisan sandwiches, chicken nuggets, salad bowls, cookies and ice cream together daily deals and specials. 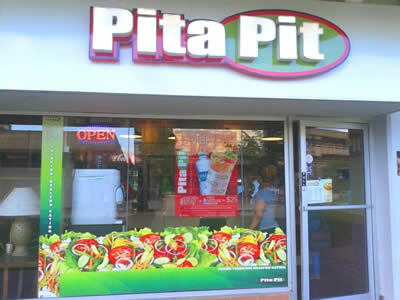 Pita Pit is the place for pita sandwiches and an option for the health-centric consumers on the Campus. There are lots of choices in the menu for vegetarians and non-vegetarians alike. Their pitas are well balanced between meat and toppings and there is a wide range of wraps from the meaty Chicken Caesar, BBQ Rib, Turkey, Roast beef, Tuna and Philly steak to the vegan options of Garden, Falafel, Cheese, Hummus and Babaganoush as well as salad specials topped off with delicious dressings. Subway offers a range of sandwich subs for meat lovers as well as vegetarians while still providing that balance of fresh, healthy ingredients and delicious taste. They offer breakfast items such as bagels with your choice of cheese, ham, eggs or bacon to satiate that morning hunger. Their savory breads are baked fresh every day to top off with your choice of tuna, seafood, turkey, soya, steak, chicken, roast beef, meatballs or bacon with single or double meat options and an array of sumptuous dressings. 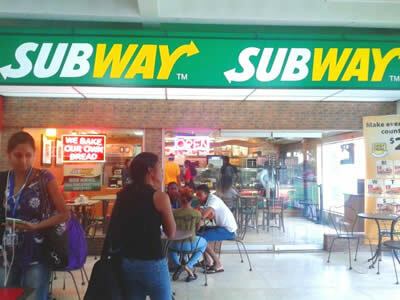 Subway also offers salads with any choice of veggies, meat or soya. Also fresh out of their ovens are an assortment of muffins, brownies and cookies to satisfy that irresistible sweet tooth. Drop in for breakfast, lunch or dinner at Subway.